Accident victims in the Manchester area who are seeking a car accident or medical malpractice attorney to protect their legal rights can consult M. Jeanne Trott for advice on their options. If you or a loved one has been hurt in a motor vehicle collision in New Hampshire, you may be able to recover compensation for your harm. These events can be traumatic and lead to devastating, long-lasting consequences for anyone involved. Ms. Trott combines compassion with tenacity in guiding accident victims through the legal process. When seeking damages after a motor vehicle collision, a victim must prove that someone else acted negligently, causing an accident from which quantifiable costs and losses arose. A negligent person is someone who has not behaved with the same degree of precaution that an ordinary, reasonable person would use in a similar situation. A driver may breach the duty of reasonable care when he or she texts behind the wheel, fails to yield at an intersection, or otherwise engages in behavior that poses a foreseeable risk of harm to others. When an injured individual seeks compensation after an accident, he or she must show that the defendant’s careless conduct directly led to the collision. This means that it would not have happened if the defendant had used the appropriate level of care. A victim who prevails in a negligence claim may be able to pursue a wide range of damages. These can compensate an individual for both economic and non-economic forms of harm, ranging from medical expenses, missed wages, and property damage to pain and suffering and emotional distress. New Hampshire law requires that an injured person file a lawsuit within three years after an accident has happened. Often, the close relatives of a person who died in a motor vehicle accident caused by someone else’s negligence may be able to recover for their loved one’s medical expenses, burial costs, loss of companionship, and other damages based on their relationship to the victim. This is known as a wrongful death claim, and its statute of limitations is three years from when the accident occurred. New Hampshire is among a small number of states that do not require drivers to carry auto insurance. Maintaining insurance coverage for uninsured motorist accidents can therefore be crucial in situations where one driver is uninsured. 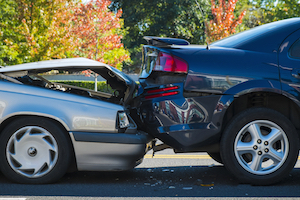 This is because uninsured motorist claims are different from the average car accident claim. Generally, after an auto accident, the driver at fault informs his or her insurance company. Victims then seek compensation from the insurance company of the driver at fault. If that person does not have auto insurance coverage, however, an injured person must rely on his or her own insurance policy for compensation. Skilled injury lawyer M. Jeanne Trott can help New Hampshire victims of car accidents or medical malpractice seek compensation for harm caused by another party’s negligence. She has substantial experience in personal injury claims, and her background in the medical profession as a former nurse gives her a keen understanding of the harm that her clients have suffered. Contact us today at (603) 624-7500 or use our online form to set up a free consultation. We proudly represent individuals throughout New Hampshire, including in Hillsborough, Rockingham, and Merrimack Counties.